When it comes to camping, some people like to pick larger, more luxurious tents for maximum comfort. There is certainly nothing wrong with that, and it is a good idea if you plan on taking long camping trips. Other people want a tent just for short trips and don’t want to lug around a large, heavy tent. If you are one of those people, you should consider buying a 2 person tent. 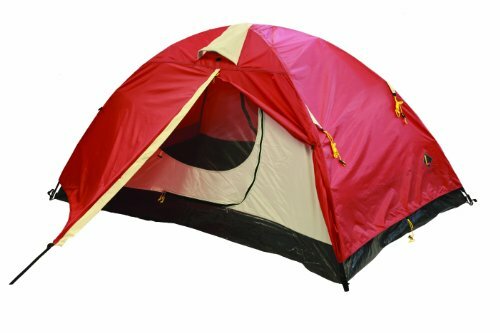 Many people looking for two person tents are either backpackers or others who just like to pack light. Sometimes it is nice just to take a simple camping trip, just bringing along the major necessities. Some people find that they don’t need much space, and really want to use the tent only for sleeping. If you are a minimalist, a 2 person tent will be great for you. Also, check out our authoritative resource on camping tents. Of course, finding the best two person tent will require some light research. You will first need to understand the different types of tents out there and key features to look for. Below you will find this information. Also, we have put together the top 10 best choices based on 2 person tent reviews. Praised for its excellent quality and ease of setup, the Sundome 2 person tents easily comes in at number one as the best two person tent. It features a dome shape and it comes with a rainfly to keep you dry on those rainy days. The polyethylene bathtub style floor further ensures water will stay out. The welded seams add to the protection against water. The fabric that makes up the rainfly and walls is made of coated polyester fabrics. For ventilation, this Sundome tent has a ground tent and two windows to allow for a cross-breeze. You can keep your small items organized by using the interior pockets. The inside is big enough to fit a queen size airbed. This free-standing tent is easy to move around once set up. To make it easy to set up your electrical devices, there is also an E-port. 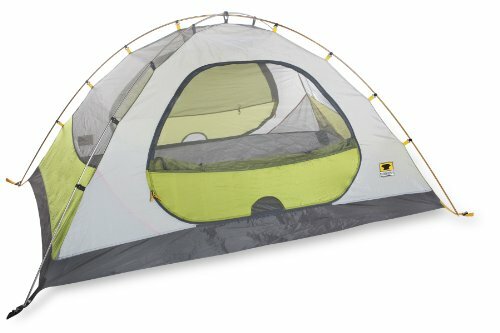 This tent is also one of the best 2 person backpacking tents and can be set up in a mere 10-minutes. This free-standing tent features an all mesh body for ultimate ventilation. The full coverage coated polyester rainfly will protect you from harsh weather conditions. The polyethylene floor is a bathtub style and the seams are sealed with seam tape to prevent water from entering inside the tent. When it is windy, you can use guy line loops to attach guy lines and make the tent for stable. The snag-free continuous pole sleeves allow for easy setup. The one pole design adds to the ease of the setup process. The setup instructions are conveniently sewn into the carry bag so that you will never lose them. The small front vestibule offers you a space to store extra gear. The interior storage pocket offers you a place to organize your small items. 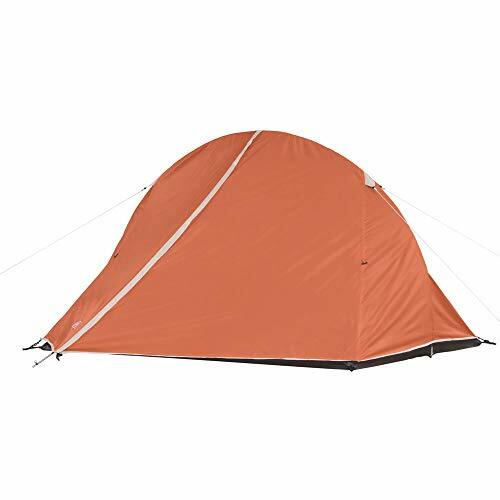 Offering more than 35-square feet of floor space and 14-square feet of vestibule space, this Mountainsmith Morrison tent is lightweight and one of the best 2 man backpacking tents. The tent comes with 7000 series aluminum alloy poles and eight aluminum reinforced V stakes. This tent is freestanding and has a two-pole design, making setting up a breeze. The polyester rainfly has a 2,000-millimeter-rated polyurethane coating as well as a color-coated system to make it easy to set up. On the rainfly are windows which you can adjust to get proper ventilation inside the tent. The instructions are printed right on the water-resistant sack for your convenience. This 3-season tent is lightweight and great for backpackers. The two full coverage vestibules provide a great amount of storage for you to keep your things organized. 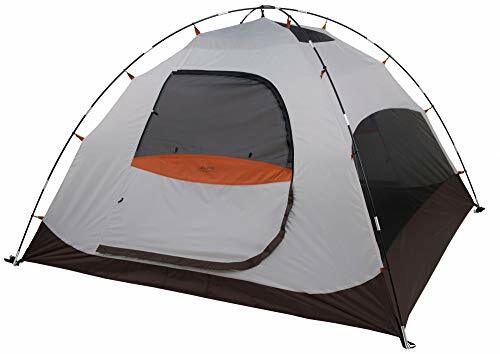 This two person tent has two doors and two windows as well as a poke-out vent in the sidewall to provide excellent ventilation. One of the tent walls is made entirely of mesh. The other walls are waterproof and a StormShield polyester fly protects the tent from harsh weather. When it gets windy, you can just use the guy points on the rainfly to attach guy lines, keeping your tent sturdy against the winds. It also features a bathtub style floor with tape seams to keep you dry in the rain. The two poles supporting the tent are made of sturdy shock-corded fiberglass. 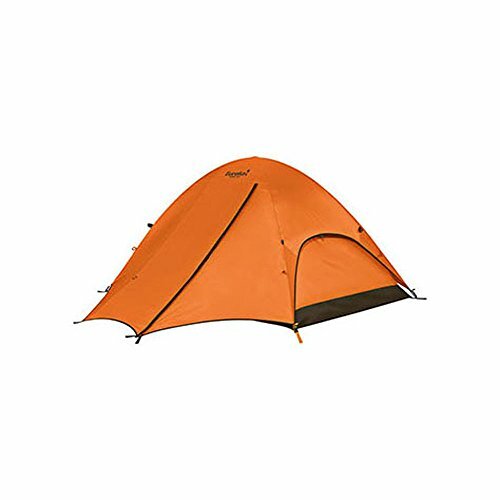 Coming in at number 5 is the ALPS Mountaineering Mermac 2 tent. Its freestanding two pole design makes it easy to set up and move around when needed. The shock-corded fiberglass frame connects to the tent using clips, which makes setting up even easier. To provide superior ventilation, this tent has 2 windows in the doors as well as large mesh side panels. The windows have zippers so that you can adjust them to your liking. The rainfly and sealed seams on the rainfly and floor of the tent ensure that you will be protected from water when it rains. In unfriendly weather conditions, you can close the storm flaps on the windows to prevent water from leaking through the zippers. The ridge pole designs provide an awning over the doors so that you can open the windows when it is raining if you like to allow for ventilation. The shock-corded DACV PressFit aluminum poles make this tent strong and stable. Keep the inside organized by using the multiple storage pockets. The side release buckles make it super easy to attach the rainfly. Featuring a ridge pole design, you can enjoy a larger interior space. Internal storage pockets make it easy for you to keep your things organized. The color coated clip construction make setting up easy. With extra fine netting, mosquitos and other bugs are sure to stay out of this tent. It also features a full coverage rainfly, aluminum stakes, and two interior pockets. The two doors make going in and out easy. If you want an ultra lightweight tent, this budget-friendly choice is a great option. Featuring an A-frame design, it takes up little space and is compact, making it easy to carry. Through professional water testing, this tent proved to have a waterproof index of over 4000mm. The special UV coating makes it SPF proof. It is lightweight but can hold its own in windy conditions. To find the best 2 person tents, there are a few key features that you need to look for. The last thing you want is being stuck in a wet tent in the rain. You will want to make sure the tent is designed to keep water out. Rain can easily leak through seams so make sure the tent has seam tape to seal out water. Also look for a bathtub style floor. This means the seam joining the floor and walls will be several inches off the ground, further preventing water from entering through the seams. You will also want to make sure that the tent comes with a rainfly. The rainfly covers the tent is made of water-resistant materials to keep you dry. If you are looking into buying a 2 person tent, it is likely because you are a backpacker or you are a minimalist when it comes to luggage. In either case, you probably want to carry as light of a load as possible. Be sure to check how much the tent weighs so that you can be sure that it won’t be a burden to carry around. Not only will you want a tent that is light in weight, but also pay attention to the packing size to make sure you will have room for it. Of course, 2 person tents will not be very big, so make sure that you pick one that provides proper ventilation. The best ones will have two windows to allow for a cross breeze. Even with the rainfly attached, you should still be able to have good ventilation. Many rainfly’s have vents in them to allow for some air to come through. When it comes to 2 person tents, you will find a couple different types of shapes out there. It is good to learn about these different types so that you can pick the best one for your needs. The basic A-frame design is a classic among tents. A-frame tents have one pole at each end of the tent and then another pole running across the top. Many people like A-frames because they are easy to set up and lightweight. They are easy to carry along for a backpacking trip. If you want to use a tent strictly only for sleeping, A-frame tents are a good option to consider. A downside of A-frame tents is of course that they don’t offer much interior space because of the sloping sides. If you are going camping by yourself, you will have room for your luggage in a 2 person A-frame tent. But if you going with another person, there will be no extra room for luggage. A-frame tents generally do not hold up very well in windy conditions. Most A-frames require stakes but there are some freestanding options. One big advantage is that A-frame style tents are usually low in price. 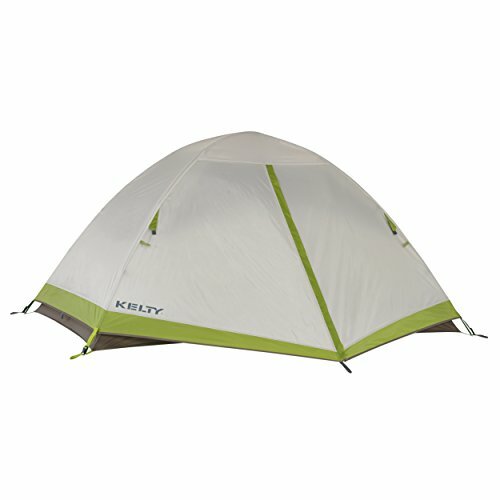 These are the most popular kind of 2 person tent. Their dome shape offers more floor space than an A-frame. They are usually made up of two or three poles that cross over each other in the center of the ceiling of the tent. The poles are usually made of fiberglass or aluminum and will come in several sections that are attached by an interior cord. Many people prefer dome tents because they are easy to set up and offer more interior space. Most dome tents are free standing, making them easy to move around once assembled. This is a good feature when you need to move the tent to another area quickly because of weather conditions. Dome tents are sturdy and can hold up against the wind better than A-frame style tents. Most of the best dome tents have color-coated sleeves to make setup easier. Since you may want to use a 2 person tent for backpacking, you will not want to spend a lot of time setting it up. You may want to look up a tutorial on setting up the tent you are interested in to see how easy it is to assemble. It will also give you an idea on how long it will take to set up. Once you get the tent, you should do a dry-run at home so that you will be familiar with how to put it together. Once you know what things to look for, choosing a 2 person tent will not be very difficult. First, decide what type/style you want. Once you have narrowed it down to a certain style, look for the key features discussed above. It needs to provide protection from water, be light to carry, provide adequate ventilation, and be easy to get set up.